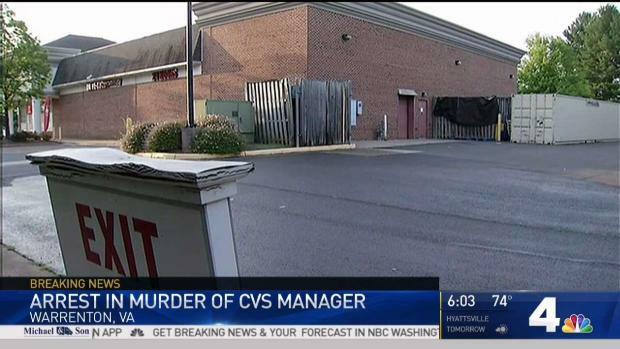 A week after the manager of a CVS store in Warrenton, Virginia was found dead outside the store, one of his employees has been charged in his murder. Bernard Clark Duse Jr., 76, was arrested Wednesday and charged in the death of Rex Mack Olsen, 64. Olsen was found dead near a dumpster outside the store on Blackwall Road about 10:35 p.m. July 26. He had been shot. Duse was an employee at the store at the time of the homicide, the Fauquier County Commonwealth's Attorney's Office said. 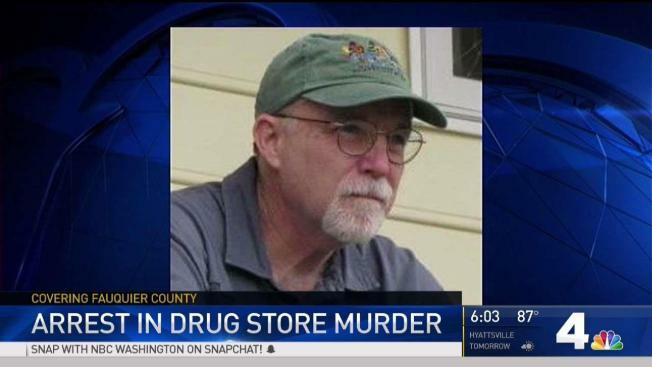 A 76-year-old CVS employee has been arrested in connection with the shooting death of his supervisor at their Warrenton, Virginia, store, the Fauquier County Commonwealth's Attorney said. No information was immediately released on a possible motive in the killing. Olsen, who lived in Reva, Virginia, worked for CVS for 25 years, and had managed the Warrenton store since 2008, the company said. Customers of the store were shocked by the crime in their small town. Olsen was friendly and kind, they said. "The manager, I probably talked to him six, seven, eight times, and he was a very, very nice man," customer Penny Davis said. "He was very, very sweet," customer Eric Sigmundsson said. "He was a very, very nice guy." A photo of Olsen was on display in the store on Wednesday. Duse has been charged with first-degree murder and use of a firearm in the commission of a murder. He is being held without bond. A preliminary hearing is scheduled for Nov. 2. "Perhaps as many as 20 items of physical evidence have been or are being sent to the laboratory for forensic analysis," Commonwealth's Attorney James P. Fisher told the Judge at the arraignment Thursday morning. "We hope to get an expedited analysis, but the state is experiencing a case backlog at the Department of Forensic Science. We are hopeful for a prompt, yet thorough scientific analysis of these items."